Living… in the busy Dunphy household in Los Angeles with older sister Haley and younger brother Luke, along with parents Phil and Claire. Though only a freshman in high school, Alex already visualizes herself living in a college dorm. Alex’s room is her oasis from what she perceives as the disorder in the rest of the Dunphy home. She gets along best by herself. 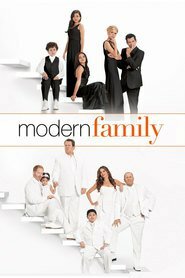 As the middle child she runs into friction with both Haley, the popular upperclassman, and Luke, the dorky kid brother. Profession…high school student, which Alex basically treats like a career. Unlike her siblings she’s a highly motivated, self-starting student and can definitely be described as an overachiever. Alex is precocious and full of interesting factoids. It makes sense for her to attend her cousin (well, technically her step-uncle) Manny’s fencing meet and remark, “Did you know fencing goes back to the 12th century?” Naturally the cooler Haley responds that the only thing dorkier than fencing is knowing when fencing started. Interests… anything nerdy. She plays the cello, which she chose over the violin to give her a better chance at being in a university orchestra. In her free time she likes to get ahead on her calculus homework. Relationship Status… single; she likes boys but can be pretty awkward around them. Part of this awkwardness comes from being torn between attraction and repulsion. Alex generally sees popularity, dating, and romance as frivolous and non-intellectual pursuits. Yet a cute boy is still a cute boy. Challenge… maintaining her lofty high school GPA, getting into a top college, and not looking like a total geek doing it. Her sister Haley does a good job of reminding her that she is, in fact, a total geek, but Alex usually doesn’t seem fazed. Personality… super-smart, driven and wittily sarcastic. Alex has a dry sense of humor and knows how to wield it. When Haley asks her mother for $40 for “a book,” then melts under the slightest questioning and reveals she really wants a dress, Claire says Haley’s a bad liar. Alex chimes in: “I’d be more worried that she couldn’t come up with a single book title.” Alex knows who she is and what she’s good at, and she’s mostly fine with it – as fine as any teenager can be. 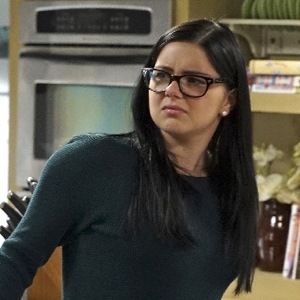 Alex Dunphy's popularity ranking on CharacTour is #1187 out of 5,000+ characters. See our top-ranked characters and read their profiles.